Brookings Interfaith Council: Could Pathways Spiritual Sanctuary Be a Model for Eastern South Dakota? Could Pathways Spiritual Sanctuary Be a Model for Eastern South Dakota? 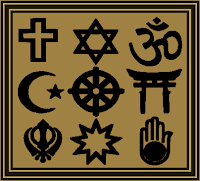 It has been suggested that perhaps we who live on the eastern side of South Dakota might explore the creation of a place of interfaith retreat similar to Pathways Spiritual Sanctuary (see blog post from earlier today). If you have ideas that might help bring such a vision about, please contact us.